Time is fleeting. We know this when all of a sudden the sun is setting and we ask ourselves, “Where did the day go?” It is then, if we are lucky enough, we can look to our partner, the person who has loved us through it all; businesses, children, pets, family, good times and bad, and we are grateful that they are with us still. How lucky to be a couple to celebrate years and years together. It is no surprise that Nevada has the highest rate of marriage out of all the other US States; 35.1 marriages per 1000 people, to be exact. It is followed by Hawaii; 17.5 per 1000, and then Arkansas with 10.9 per 1000. When it comes to divorce, Nevada is at the top of the list again (think about it, married in Vegas, divorced in Reno) with a 5.5 of 1000 people. Oklahoma comes in at 4.8 per 1000, then Idaho and West Virginia both have a rate of 4.7. When compared to the marriage rates, the chances celebrating big anniversaries together are pretty good! The warmer months or June and August are still the most popular times to marry, but the winter months are gaining in favor. December is still the time when most people pop the question. And when the day comes, people in Iowa and Nebraska will have the largest guest lists, while those in Nevada and Hawaii will have the smallest. 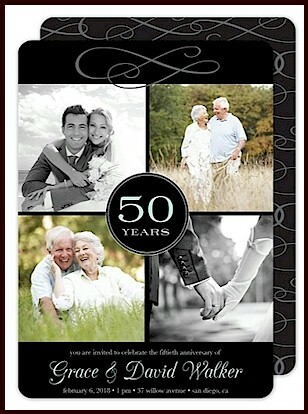 According to US statistics, 52% of US couples will reach their 15 year anniversary, 5% will reach their 50th anniversary. Celebrate that time together! You are the lucky ones! 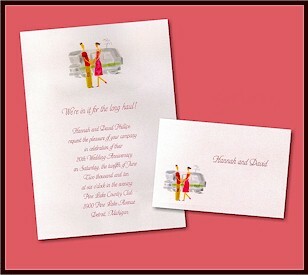 Invitations4Less.com has a terrific selection of Discount Anniversary Invitations. 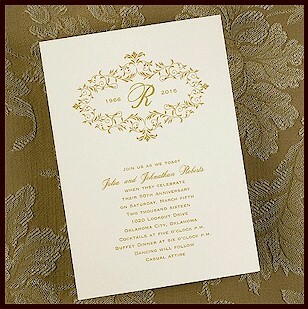 Need help finding just the right invitation for your special day? Contact us for personal assistance! Lynn Olejniczak is a writer and researcher who lives in and loves Chicago. A mother of two, she claims if she had three hands she would be wishing for a fourth.